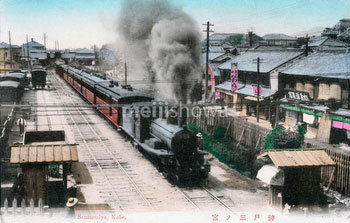 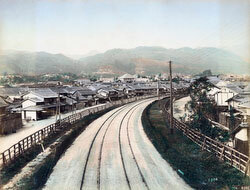 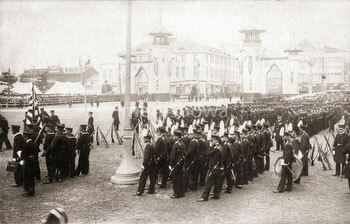 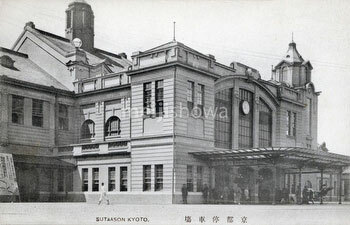 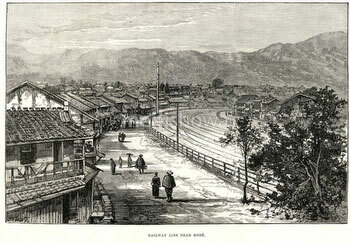 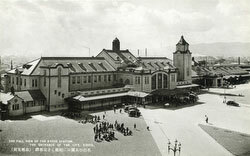 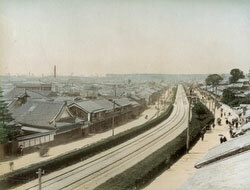 On February 6, 1877 (Meiji 10), the Kobe-Kyoto stretch of the Tokaido Main line and Kyoto Station were officially opened. The railroad connection between Kobe and Osaka was opened in May 1874 (Meiji 7). 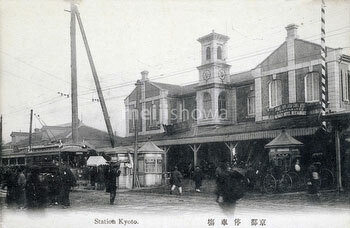 It took 70 minutes to travel the 32.7 kilometer route. 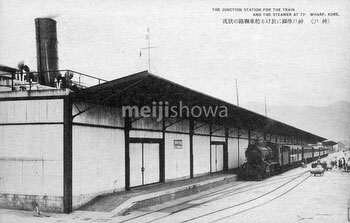 Today it is a little over 20 minutes. 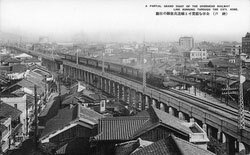 In 1876 (Meiji 9), the line was extended to Kyoto (through Omiyadori temporary station) and by 1889 (Meiji 22) passengers could travel between Kobe and Shinbashi Station in Tokyo.